Well, that ain’t good for Kokonotsu Shikada and his family-run dagashi shop as it’s now rundown after 3 months of neglect. And speaking of 3 months, we haven’t heard from Hotaru Shidare ever since she was invited by Coconuts to see the fireworks display. So yeah, this dagashi shop feels so empty without Hotaru Shidare around and Kokonotsu-kun felt dejected about it. In any case, it’s the worst thing that happened to Coconuts and he continues to feel depressed every day. 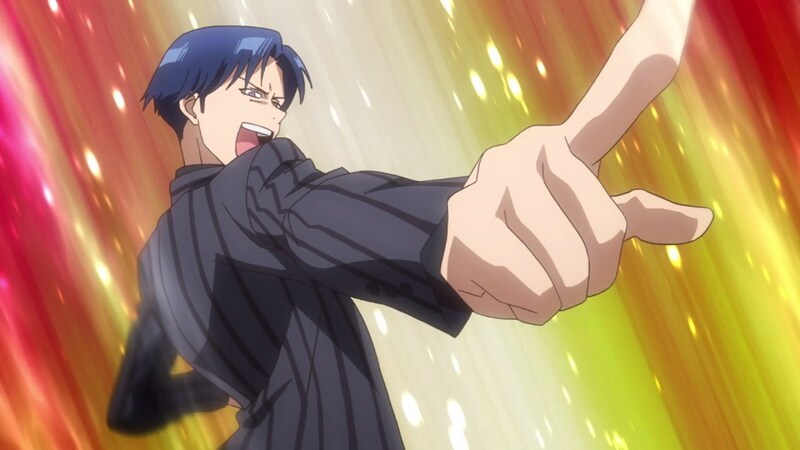 Man, if only Hotaru Shidare returned to his shop. Fortunately, Kokonotsu Shikada has some company in the form of the Endou siblings, where they helped him on tidying up his dagashi shop. Also, seems that Saya Endou is getting a score on this when she have a conversation with Coconuts. C’mon, Saya-chan is in love with him. 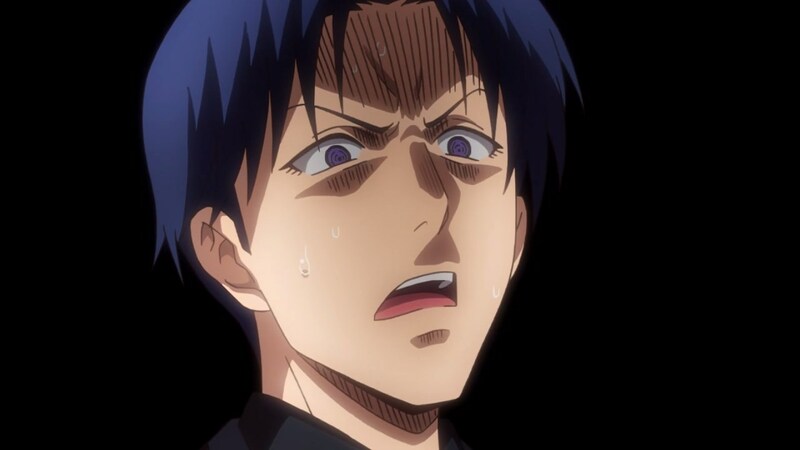 So yeah, the dagashi shop is all cleaned and it’s ready for business, but there’s one problem though. No, it’s not about Hotaru Shidare not coming to this shop since she’s missing, but it’s about an outside force that’s threatening the shop. 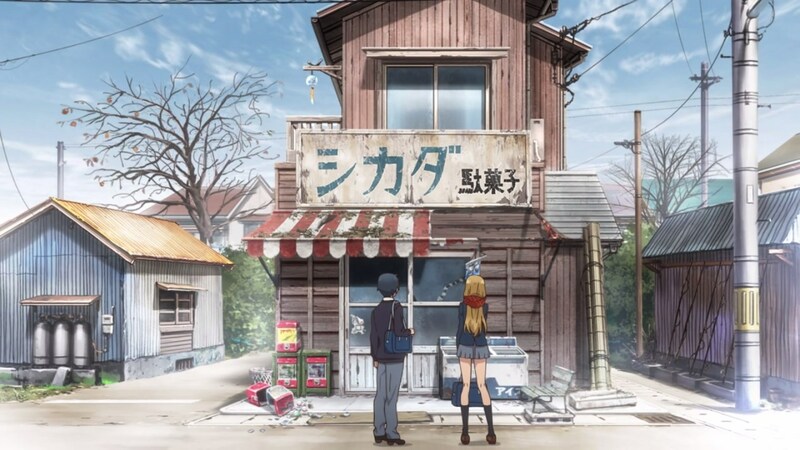 That’s right, it’s a convenience store where where it was established in front of the Shikada dagashi shop. Yeah, it’s no wonder why Kokonotsu is losing some customers every day. 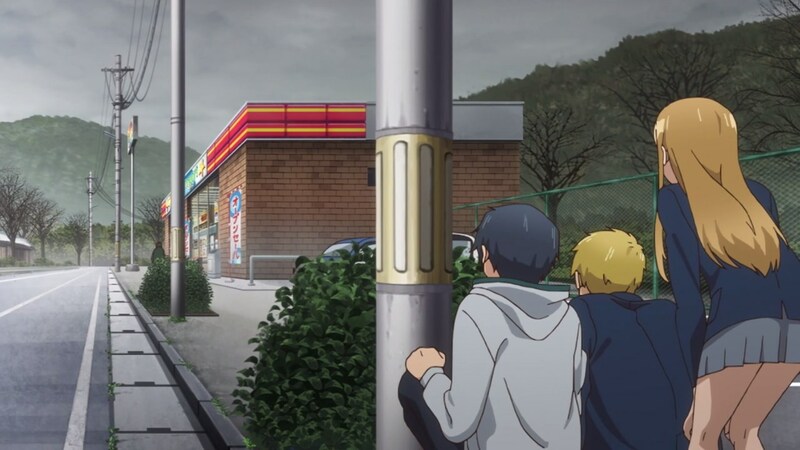 And it turns out that the owner of the convenience store is this guy named Beni Yutaka, who is very much fascinated when it comes to convenience stores both good and bad, mostly good though. 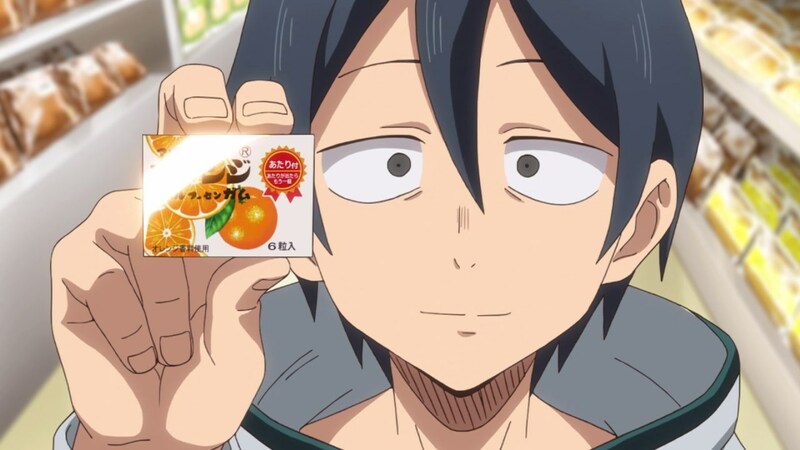 Oh yeah, and Beni Yutaka proclaimed that convenience stores are the future for this town, making other shops obsoletes such as the dagashi shop. But anyways, it’s time for Beni Yutaka to show off his pride and joy, the pastry section where you have cakes made by world-class patissiers to choose from. 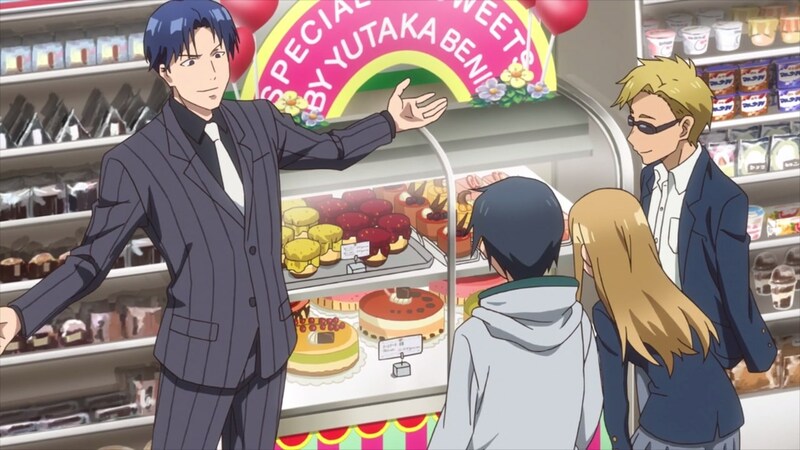 However, Kokonotsu found these pastries expensive as he explained to Beni Yutaka that it won’t sell well when people at his hometown would rather buy cheap stuff, especially dagashi when Coconuts shows him an orange bubble gum. And as for Beni Yutaka, he was stunned that a teenage boy named Kokonotsu has a knack of knowledge when it comes to selling stuff. 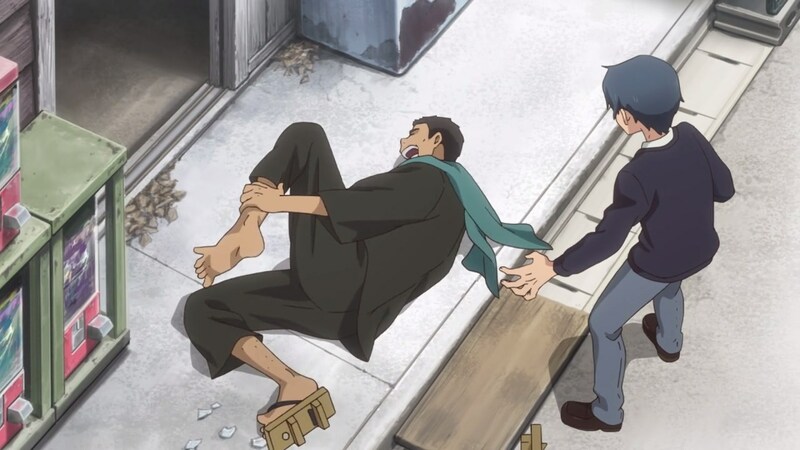 Therefore, Beni Yutaka decided to recruit Coconuts to his convenience store, but he’ll rather stay at his dagashi shop than working for another company. But that’s about it for Episodes 5 and 6 as Kokonotsu Shikada has a business rival, but he still misses Hotaru Shidare and who knows what happened to her. With that said, I’ll see you next time! This entry was posted in 2017 Anime Season, Dagashi Kashi 2, Winter 2017 (January – March 2018) and tagged #だがしかし, 2017, anime, Dagashi Kashi, season. Bookmark the permalink.